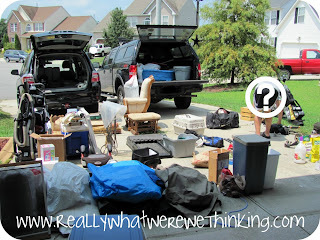 Operation: Garage Declutter - Really, What Were We Thinking? Tweet Chris half-way accepted my Declutter Challenge from last week. 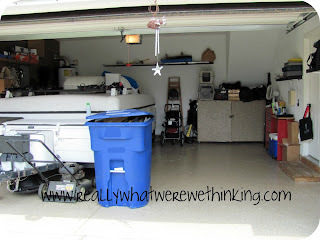 He wasn't willing to blog about it...but we DID finally declutter the garage. It was about 100,000 degrees outside, bright & sunny. Perfect weather for cleaning out a garage. OMG it was so worth it. 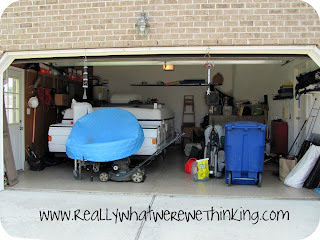 Half of our two-car garage contains our pop-up camper, so I feel confident that our garage could have been a lot worse. 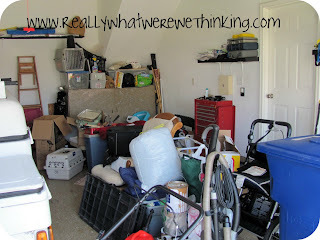 However, it was pretty dang bad with only half the garage being filled with pure crap. Well, we got started and got sweaty. Nasty sweaty. Chris broke out in his random hives. It was disgusting. We organized everything on the driveway: Keep; donate; and trash. 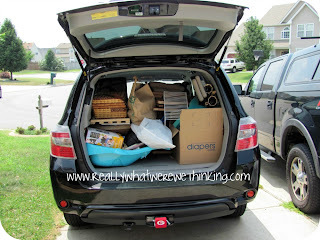 My suv contained the "donate" items. 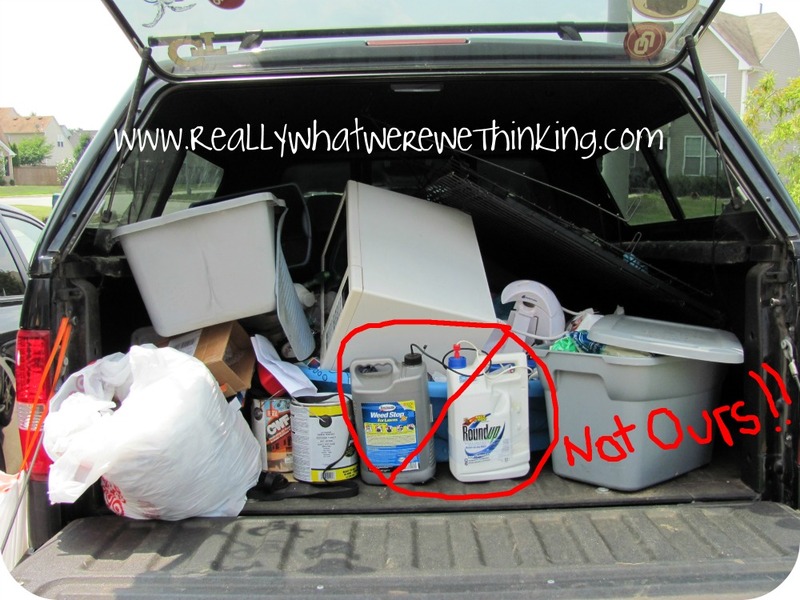 Chris's truck contained the "trash." At the end of the day, all that was left was a small stool that had too many stains for the Goodwill to accept. The hardest part will be keeping the garage like this. 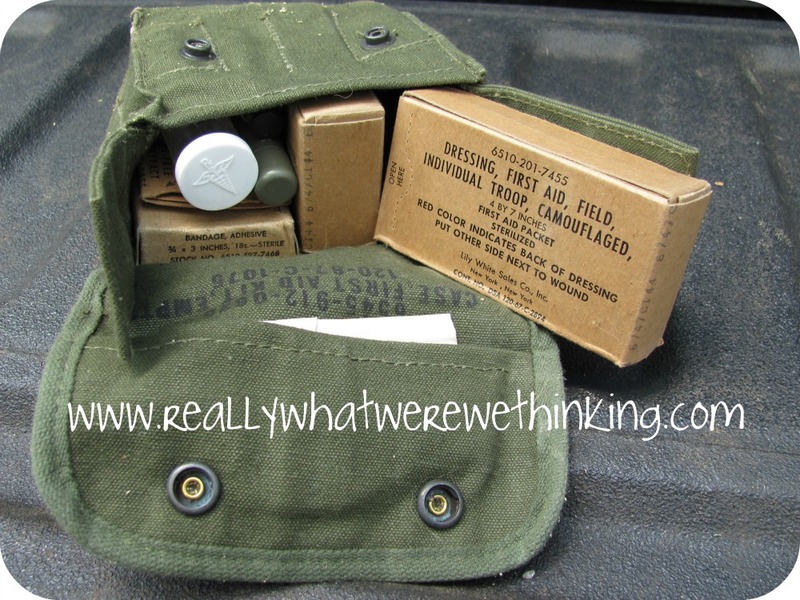 Bonus: We found an old army first aid kit tucked away. 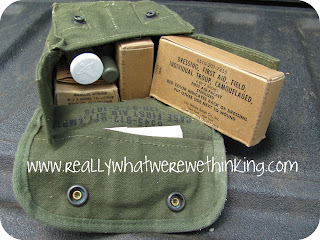 The paperwork we found with it was dated 1967, but no name attached. Have you ever filled two trucks full of junk after a declutter? What's your biggest hurdle when it comes to decluttering your house? Do you actually use your garage for your vehicles? Does anyone?